10 comfortable en-suite rooms. Friendly, personal service and warm country hospitality. Family-run business, Excellent tradisional cuisine. Table d'hote, A-la-Carte, Pub Lunches and Tea Garden. Established in 1900. Come and join us for Good Old Country. 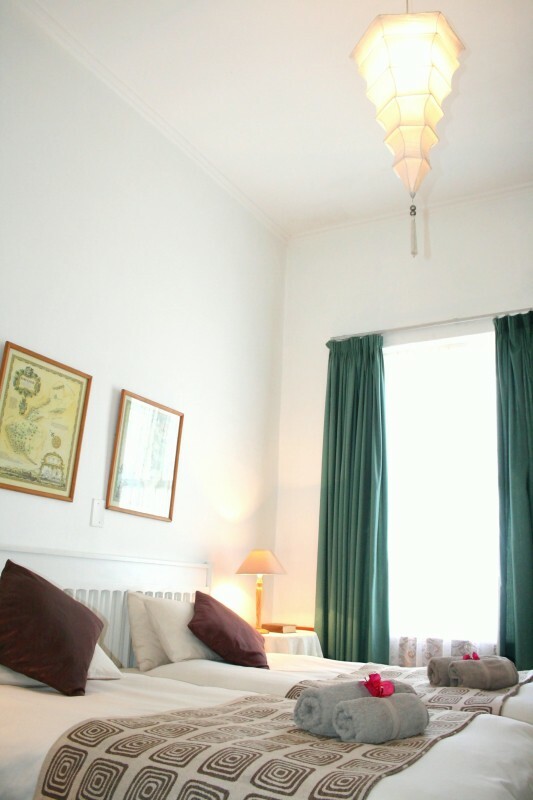 Albertinia Hotel - The ideal Garden Route accommodation between Cape Town and Port Elizabeth. Its wonderful ambiance, food, comfortable accommodation and service has given the hotel a national as well as international reputation and it enjoys a three star rating by the Tourism Grading Council of South Africa. The fine food served at the Albertinia Hotel has become something of a legend. The Home of Good Food since 1900. The food is perhaps the hotel’s greatest claim to fame. 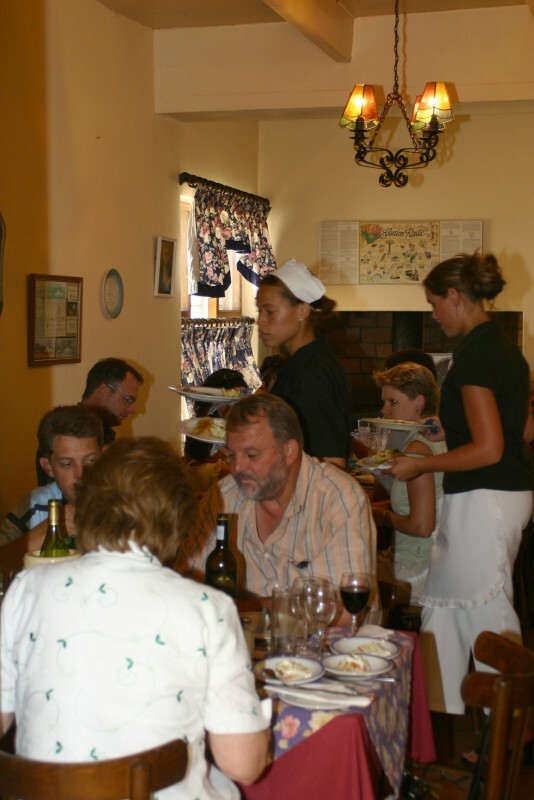 The intimate dining room offers an excellent table d`hote menu with good wholesome home cooking. The extensive menu features traditional dishes while an a-la-carte menu is also available and the wine cellar is generously stocked with a wide selection of wines to cater for every palate. The food tends to the traditional and is both delicious and plentiful. Bread is freshly baked on the premises. Recipes have been handed down from cook to cook as jealously guarded secrets. The reputation of the pickled fish, for example, has even spread overseas. In his book “In Search of South Africa”, the British writer H.V. Morton was moved to mention Albertinia as a result of a meal at the hotel: "…and we plunged into that riot of eatables…"
In the days when the mail ships used to stop at Mossel Bay passengers were often transported to the hotel for a dinner. Our pub lunches and our shady tea garden offer a lighter alternative for travellers. Accommodation at Albertinia Hotel: Whether you are holidaying in the area or merely traveling through, we have 10 comfortable en suite bedrooms available. Special rates available to South African Senior Citizens (subject to availability). Special weekend packages on a dinner, bed & breakfast basis are available for small groups of up to 20 guests. Conference facilities for up to 50 people can be provided. 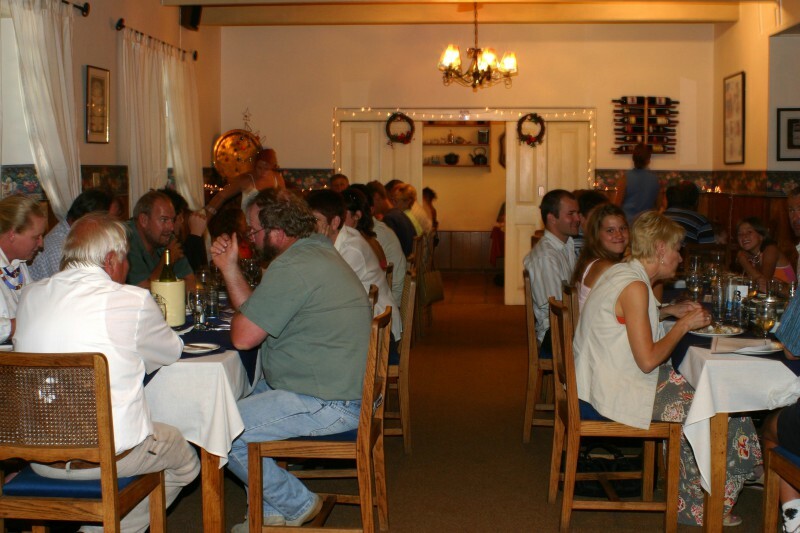 Albertinia Hotel is an excellent location for weddings and functions up to 100 guests. The “Tiekie” Theater is also a popular venue where top local artists have performed. Ideal for smaller group functions. Use the Albertinia Hotel as your base whilst exploring the diverse attractions of our area. Golfing, bird watching, game drives, 4x4 routes, angling and aloe product factories can all be found within a 10 min drive.